Home office design ideas are changing — both in terms of overall style and the need-to-have pieces of furniture. In general, home offices are moving away from the traditional aesthetic of one, do-it-all desk and instead embracing a variety of stylistically interconnected showpieces. 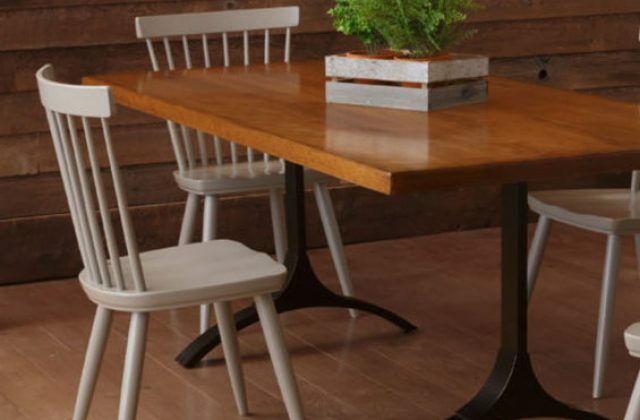 At Martin’s Furniture we’re your home office furniture resource — not only do we build gorgeous home office furniture but we teach our customers about interior style. Learn more about today’s HOT home office design ideas — and discover some of our most gorgeous custom wood furniture. Whether your home office is your space to work with clients, or just the area in your house where you do your best work, you deserve a stylish and comfortable office space. 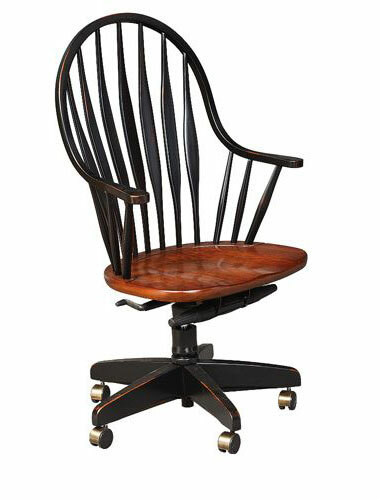 More than any other single factor, the furniture you choose will determine the character of your home office. Once, a massive corner desk was the only piece of office furniture you needed. Now, however, tastes are changing to smaller and more elegant alternatives. Generally, in today’s home office set-ups, your writing space will be in the middle of your office, with convenient access to your storage areas. The Manchester Writing Desk is the perfect size for your home work station — and the available oak, maple, and cherry woods will make a striking impression on any clients who visit your home office. In home office design, bookcases are often placed behind your centerpiece writing desk. Visually this makes it seem as if the stately shelves are flanking your desk, and practically, it means that your important business resources are never far away. Both the Tuscan and the Balwin bookcases depart from the style of wide, highly-ornamental bookcases of the past — and both fit in well with a modern home office aesthetic. 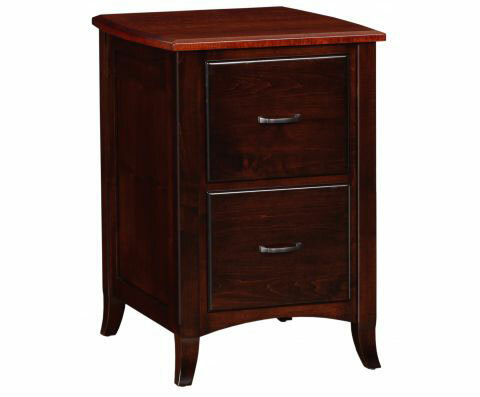 In addition, because both bookcases are tall, they will stand out even when placed behind your desk or other furniture. The major determining factor between these two pieces is your preference of whether you like a door on your bookcase or if you prefer it open. 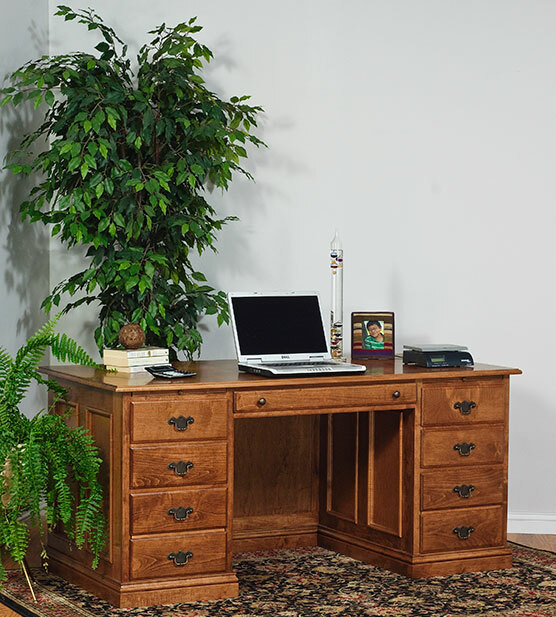 You want your home office to make a stylistic statement AND be comfortable to use every day. The same expectations apply to your desk chairs. 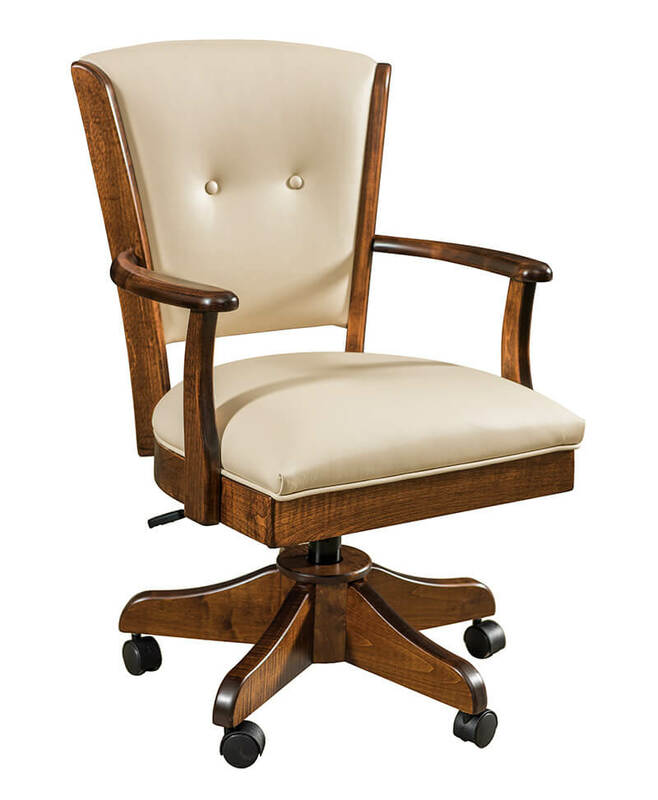 The most popular desk chairs come cushioned for hours of comfort, as well as offer wheels for mobility and rotation so you can access anything in your office with ease. The Lansfield is a fantastic luxury choice to complement your home office design, while the Malibu has a striking, one-of-kind style and a contoured back. 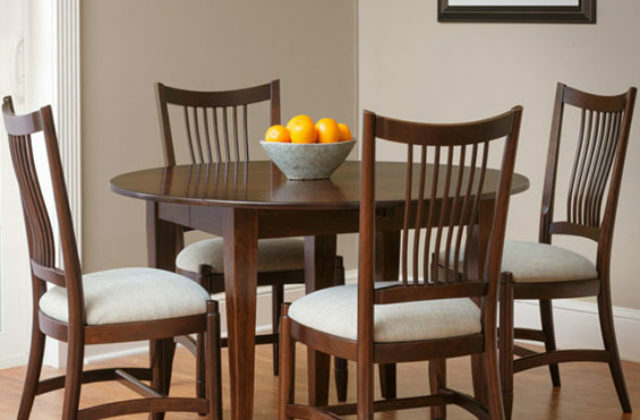 Like all of our custom wooden furniture, both chairs will look gorgeous and hold strong for decades to come. Another prominent component in modern office design is the belief that every piece should be beautiful. Before it was not uncommon to see stunning desks paired up with eyesore metal file cabinets. The Manchester File Cabinet is a presentation piece — not something to be hidden away. The Manchester Two Drawer File Cabinet pairs particularly well with the Manchester Writing Desk as they both feature the attractive clean lines and tapered legs. While the departure from large and dominant desks adds mobility and flexibility to your home office, it does have a drawback: a lack of miscellaneous storage. While your books and paper files will be taken care of, the need can arise for close-at-hand miscellaneous storage. This is where the Storage Case Cabinet comes in. The versatile 3-shelf organizer can be used to store everything from office supplies to your computer when you’re not using it. 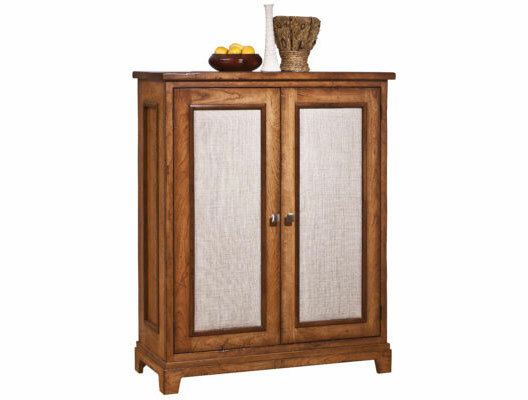 This cabinet also possesses a distinct look thanks to the upholstered doors. The classics never truly go away — and we still build many custom corner desks for home offices. As a contrast to modern home office design ideas, custom corner desks do it all. 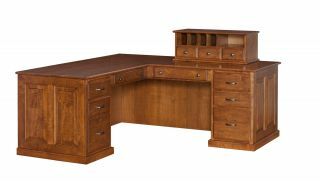 Built-to-order, these executive desks feature built-in file cabinets, storage, and even shelving. 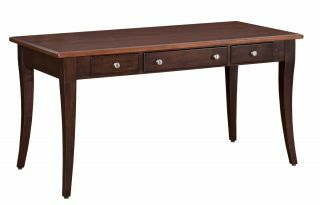 We’re more than happy to custom craft such a desk for your home office. In many ways, modern home office décor is a result of people preferring laptop computers over bulky desktops. Before, your workstation was determined by your computer and you were anchored to your desk. Now that people like to work light and mobile, their home offices reflect this. The most significant impact this has is that people no longer NEED to use large desks but can instead select a variety of furniture spaces that speak to their tastes. Bedroom décor has also become more modern as well — see our modern bedroom designs. Love our gorgeous handmade office furniture? You can order now or call us to design a custom piece. 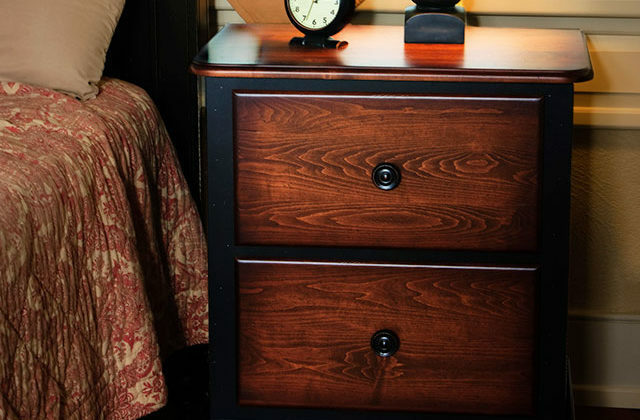 At Martin’s Furniture, we do more than just build exquisite heirloom quality furniture — we also work directly with all of our customers to ensure they love their piece.